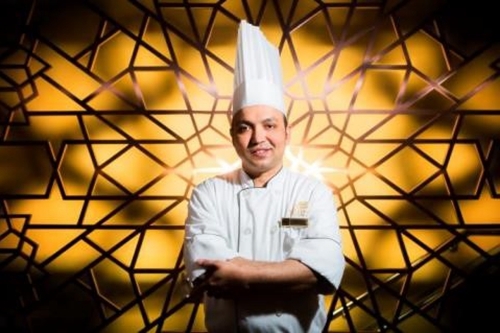 (Macao, Dec. 11, 2018) – For the sixth year in a row The Venetian® Macao’s superlative Indian restaurant The Golden Peacock has again been awarded a Michelin one-star rating as “high quality cooking, worth a stop”. The Golden Peacock is led by Kerala native and celebrated Senior Chef Justin Paul, who has headed a team of 15 chefs since the restaurant’s opening back in 2013. One of the highest-rated Indian restaurants outside India itself, The Golden Peacock prides itself on authenticity throughout, from its chefs, recipes and techniques to its ingredients and kitchenware, all of which are imported directly from India. The restaurant regularly features special promotions, most recently as part of the Green Cuisine campaign across Sands Resorts Macao’s signature restaurants. The Golden Peacock supplied two unusual dishes for the promotion, Khumb Bajre Ka Soweta, an organic millet and vegetable stew from Delhi incorporating portobello mushrooms, and Vendakka Chorakaa Mathanga, comprising produce from Karnataka including okra, bottle gourd and butter squash, cooked with coconut curry sauce. Other seasonal menus have focused on the distinctive Indian regional cuisine of Goa, which as a former Portuguese territory like Macao, offers a delicious blend of eastern and western influences. The Golden Peacock is open daily 11 a.m–3 p.m. for buffet lunch, with newly introduced daily live cooking station featuring regional Indian street food and full à la carte menu available from 6-11 p.m. Reservations or private events can be booked by calling +853 8118 9696 or emailing goldenpeacock.reservation@sands.com.mo. 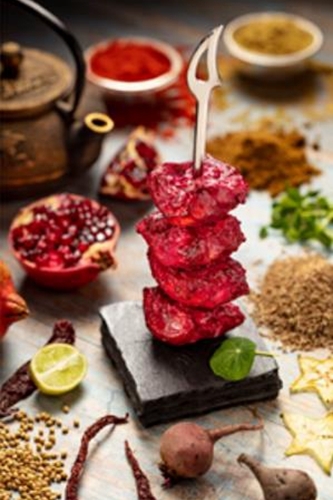 Kandari Murgh Tikka – organic chicken, pomegranate, baby beetroot, Kashmiri chilli, hung curds, cashew nuts. Paneer Sev Tamatar – homemade cottage cheese, crispy vermicelli, fenugreek leaves, plum tomatoes. Khumb Bajre Ka Soweta – organic millet, portobello mushrooms, organic carrots, French beans, walnut oil, orange and purple cauliflower. 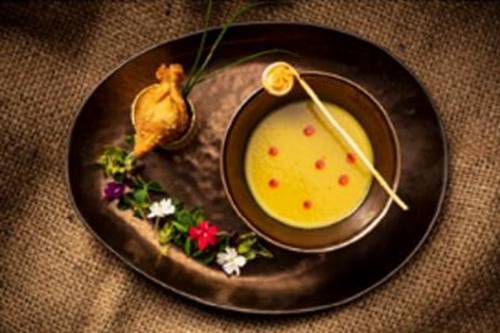 Muringakka Rasam – drumstick beans, curry leaves, organic black pepper, asafoetida, raisins, yellow lentils. 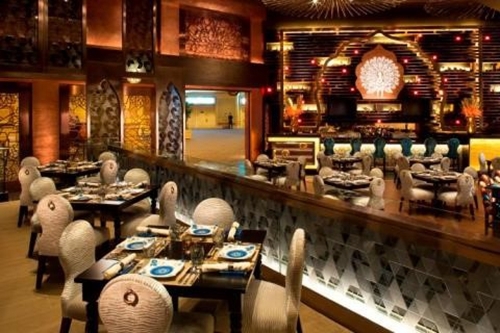 Photo caption: One of the finest Indian restaurants outside India, The Golden Peacock at The Venetian Macao has again been awarded a one-star rating in the Michelin Guide Hong Kong & Macau 2019. Photo caption: Kerala-native Senior Chef Justin Paul heads a team of 15 talented chefs at The Golden Peacock at The Venetian Macao.